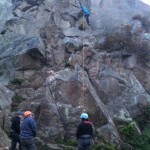 Thanks to Emma and Tony for setting up an evening in Dalkey Quary for the leaders last night, it was a great night and weather was glorious. 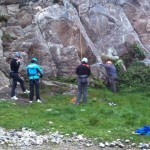 A small group meant we had the opportunity to do more climbs as well as learning the anchoring of the ropes. 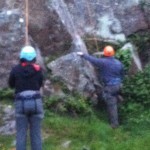 The evening was attended by Mia, Kevin, Alex McMillin and Me(Hugh). 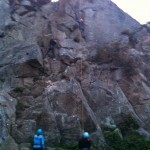 We started with Yorkshire Pudding the rigged Drinkers Direct and Drinker Delight and then climbed them both. 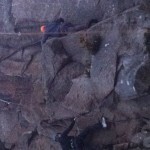 We only remembered to take photos at the end and they are below. 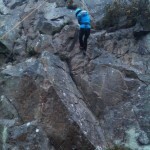 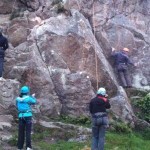 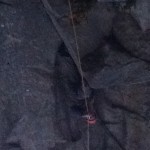 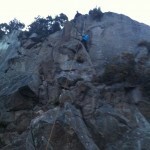 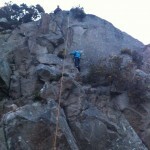 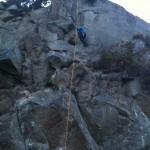 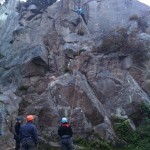 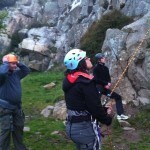 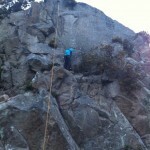 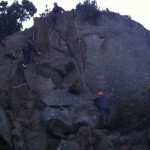 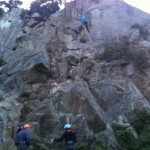 Tags: Dalkey Quarry, Rock Climbing. 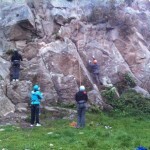 Was a great night out. 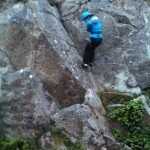 So defiantly need to do it more often. 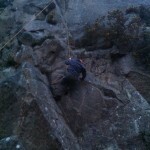 Photos are extremely good for rock climbing photos. 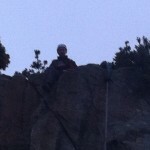 Thats thanks to the photography work of Alex.